Generally speaking, there is not a bad time to get on a plane and explore the world. Some of the best places in the world can only be visited at some times; Fortunately, there are many ideal moments to visit Machu Picchu in Peru, allowing you to be quite flexible with the dates of your trip. The region in which the city of Cusco is, has 2 very marked seasons, the dry season and the rainy season; We will first show you the difference between these seasons and then the advantages of coming to Machu Picchu in the rainy season. What are the advantages of visiting Cusco and Machu Picchu during rainy season? What to bring in rainy season? 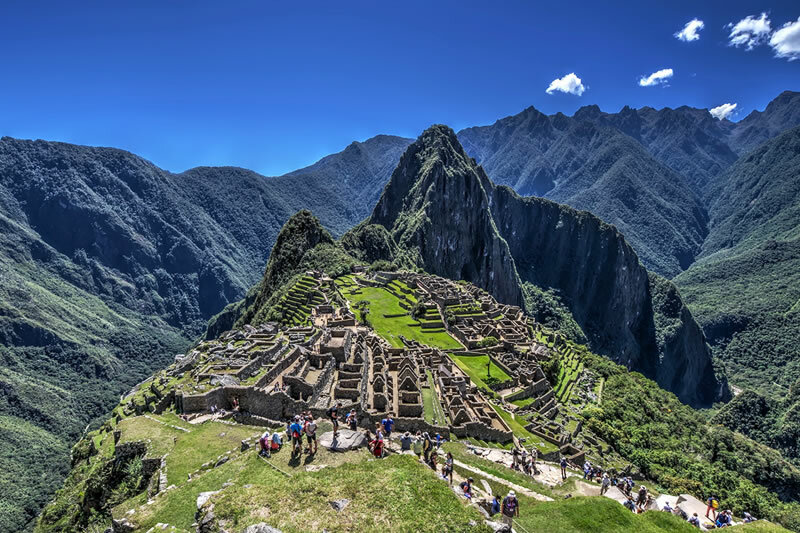 Ironically, “winter” is the driest time to visit the Andes and Machu Picchu in Peru; During this season you can expect clear skies and sunny days, although the nights are cold. This time coincides with the holiday season in the USA. And Europe, making it the season with the highest influx of visitors (high season). The beginning of this season in April, is especially photogenic, since the rains have done that the vegetation shows its green more intense. In Machu Picchu, a city embedded in mountains surrounded by vegetation, this is something spectacular. Another advantage of coming this season is that in Cusco (in June) you can see the Inti Raymi; A festival inherited from the Incas, full of color, typical costumes, dances, and of course the recreation of one of the most important festivals for the Inca civilization. It is understandable that the term “rainy season” confuses many people who plan to travel to Machu Picchu during these months. Some people imagine that it rains all day, every day, but this could not be further from the truth; Although it is possible to have some of, “those days”. The season begins the first days of November and ends in April; January and February are the months with the strongest rainfall, with lightning and thunder, which gradually decrease in March. There is something that is a bit different to most of the world. “Summer” is also the rainy season in Cusco and Machu Picchu , the weather is slightly warmer compared to the months of May to October. A typical summer day in Cusco and Machu Picchu means a clear sky in the morning, A possible rain in the afternoon (can be very strong and last a couple of hours), then be cleared again. However, although it is possible that it may get wet a bit; Will have the city of Machu Picchu with the fewest possible people, being able to take photos of the structures and trails of Machu Picchu, without a lot of people in them. 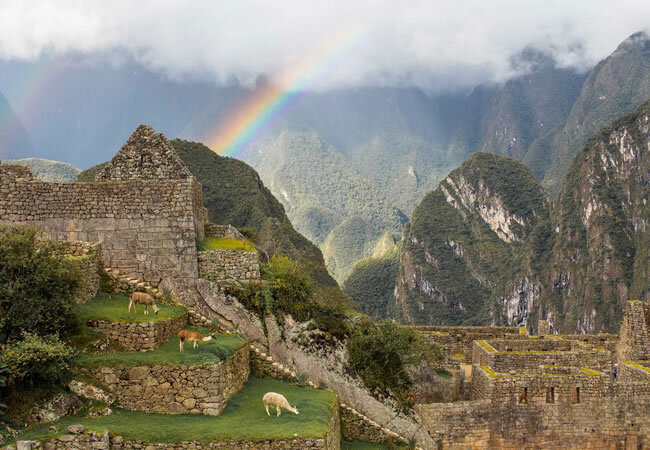 Machu Picchu receives its least amount of visitors during the rainy season, this will allow you to tour the Inca city with peace of mind; You can take beautiful photos, without many strangers in them. In the rainy season (low season) it is possible to purchase flights, hotels, restaurants and additional tours, with up to 25% discount, and thanks to the law of supply and demand, you can find products of very good quality, at low prices . The high season makes prices rise between 30% and 100%. Green Landscapes The rains in the region make Machu Picchu and the entire Sacred Valley of the Incas become intense green. The landscape is completely covered with grass, flowers and seasonal fruits. Warm ClimatesThe rainy season is more humid, but the days are warmer; However, moisture (almost 96%) helps to moisturize the skin and hair, lips do not dry out as in the dry season, you also feel a cleaner, pure and fresh air. During this time you can taste exotic fruits and vegetables, typical of the season, such as capulí, mangos, pears and peaches (organic), typical of the season and the area. In recent years, many people are coming to Machu Picchu by practicing spiritual tourism. The amazing energy of Machu Picchu attracts people from all corners and cultures of the world; And undoubtedly, the rainy season offers one of the best times for it, since it will be in Machu Picchu as far as possible. If you have not booked your Machu Picchu tickets yet, do so now. The rainy season coincides with the low season of tourism in Cusco, traveling to Machu Picchu during this time, will allow you to save on hotels, restaurants and other services; In addition to other advantages that we detail below. The climate in Cusco is very changing, it can rain in a torrential way and in a few minutes the intense sun or vice versa. In the shade you will feel cold and in the sun very hot, so you should anticipate this situation and bring with you appropriate clothing. When preparing your luggage keep in mind that it will have sunny, cloudy, rainy, cold days, etc. Hiking Boots: Bring slip-resistant, waterproof shoes, especially if you plan to tour some of the mountains of Machu Picchu; The paths are stone and will be wet and slippery. Waterproof poncho: No matter what time of year you come, take one with you; The jungle-browed climate of Machu Picchu makes the rains come very unexpectedly. Sun protection: Sun hat, sun block and sunglasses.